RIM will put the BlackBerry 10 operating system in the hands of developers this May by giving away 2,000 prototype devices at BlackBerry World. The company says it is relying on developers to familiarise themselves with the crucial new OS in order to build compelling applications for the platform, when it launches later this year. The company pulled a similar stunt at last year's BlackBerry World expo in Orlando, Florida, when it gave free PlayBook tablets to developers who then failed to produce an engaging suite of apps. This time RIM hopes it will be different. However, developers won't be getting the finished product, in fact RIM says the developer preview and prototype handset will look nothing like the completed designs. "It's a huge step forward on our path to eventually launching BB10," said Alec Saunders, RIM's vice-president developer relations. "It's tangible evidence of the company making progress to finally shipping the device. "The experience on this device from a consumer's perspective is not in any way indicative of what the final experience on BlackBerry 10 will be like. We are holding that back to create the interest around that at launch time." 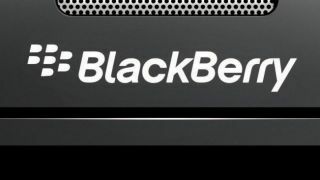 The BB10 line-up will debut in the latter part of 2012, and the scenario is quite clear: It's win or bust for BlackBerry.